In Rapid-Fire 2012, Memes' Half-Life Fell To A Quarter Internet memes used to stick around for months on end (remember "Charlie Bit My Finger"?). But in 2012, the shelf-life of an Internet sensation became increasingly fleeting. Funny videos and games are now enjoying only brief moments in the cultural spotlight before they're forgotten. A screengrab from the "Kony 2012" online video about the Central African warlord Joseph Kony, which skyrocketed in popularity after its release in March. It was criticized, then forgotten, just as quickly. Last June, a young woman in Texas uploaded a Justin Bieber fan video. She seemed a little .... unhinged. "I just made a list [of] all our future kids names: Bartholemew, Clarence, Steven, Bryce," she sings, eyes wide. 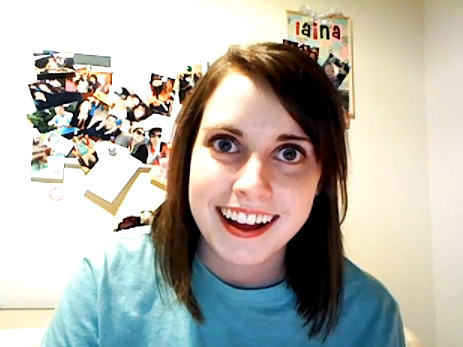 The video was posted to Reddit in a thread called "Overly Attached Girlfriend." In 48 hours, it picked up over 1 million views. Within days, the media was running stories about it. "JB Fan Video" got more than 1 million views in 48 hours. Within weeks, it was largely forgotten. And in a few weeks, everyone forgot about it. Online sensations like "JB Fan Video" used to have longer legs. But in the past year, the speed with which we cycle through online videos, games and memes has increased enormously. Back in 2008, "Charlie Bit My Finger," a video of a tiny British boy sticking his fingers in his baby brother's mouth, first uploaded to YouTube in 2007, was passed around for months and months ... and months ... and months. YouTube's trends manager, Kevin Allocca, says it's hard to imagine its popularity lasting so long today. "That stuff definitely still exists," Allocca says, "but a lot of the most popular things that we're seeing now [are] from professionals at producing entertainment." And this year, videos dropped in and out of our consciousness faster. Even Allocca — whose job it is to watch trends on YouTube — says, "the speed with which these things happen doesn't cease to amaze me." It wasn't just lighthearted stuff capturing our momentary attention this year. A video about the central African warlord Joseph Kony started showing up on Facebook and Twitter in March. 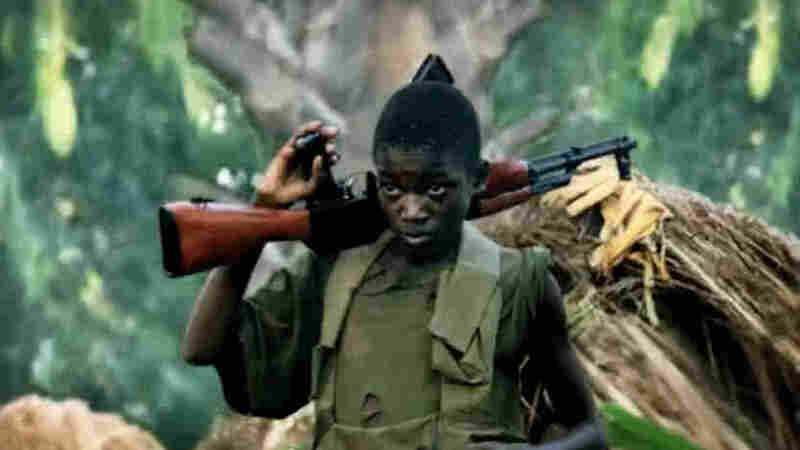 It took only a few days for "Kony 2012" to obliterate previous YouTube records, with 30 million views a day. But the backlash came faster, too. Between criticism and controversy, Kony 2012 basically vanished from the cultural conversation within a month. Then: First uploaded in 2007, "Charlie Bit My Finger" was a worldwide sensation for months on end. Now: In contrast, "Kony 2012" quickly smashed YouTube viewing records — but soon vanished from the cultural conversation. "It really made me think about the velocity with which we're operating right now," Allocca says. "And the pace of popularity for some of these videos." And it's not just videos that became online flashes in the pan in 2012, either. Just a couple of years ago, there were 32 million people playing Farmville on Facebook. They happily sent each other online cabbages and watered each other's crops. It took two years for the vast majority of players to lose interest. When this year's version of Farmville came out, it took only three months for the number of players to fall from a high of 7 million to around 2 million. Accelerating the pace of linking and "poking" might actually be an efficient way to "be a more social person in today's world," says sociologist Marco Gonzales. We are intensely social animals, he says, hardwired to get pleasure from connecting online. "We're actually looking to be more social than ever before," Gonzales adds. "Maybe to the point of a problem, right? " Maybe. Remember "Binders Full of Women"? Or Olympic gymnast Mckayla Maroney scowling with her medal? With these things flying by at warp speed, it's hard to keep up with the cultural conversation. People cry and moan a lot about the decreasing attention span of America's youth," says Shana Naomi Krochmal, a digital producer for Current TV. "I think everyone's attention span in American is, at the best, quartered from where it was even five years ago. Absolutely." Call it the quartering of the half-life. Krochmal thinks it's happened, in part, because of the strain on old media in a 24-hour news cycle. Memes are cool. They're plucked up, chewed on, spat out and forgotten. "I think the kind of media we have now does really reward that intense instant obsessive focus," Krochmal says. "But how long can you do that for, right?" In a burgeoning online universe, not so long. This year, Facebook topped 1 billion users. With more of us from all over the world using the same social media — and using it better and faster — that means ever-more information to pass around. Of course, that also means some of it won't go away. Things like "Gangnam Style," the catchy — and relatively long-running — pop song, tend to stick around if they're interactive or something people can copy or remix. The proliferation of mobile phones has played a role, too. Social media used to be limited to computers, but 2012 was the year that more than 50 percent of American consumers owned smartphones, giving us Twitter and Facebook right in our pockets. "Our access the Internet has just improved so dramatically over the last few years," says Andy Borowitz, a comedian who has worked successfully in both old and new media. "We didn't have so much high speed Wi-Fi five years ago. We didn't have high speed networks on our phones the way we have now." Borowitz says, personally, he's exhausted by the rapid-fire firehose of information he gets on Twitter and Facebook. So in the year ahead, he's planning to read more books. It's balm, he says, for his over-stimulated brain.